﻿ SAS Management Inc.MoP®- Portfolio Management - SAS Management Inc. The MoP guidance provides a set of principles, techniques and practices to help organizations ensure that the programmes and projects they invest in contribute to strategic objectives and achieve the best possible return on investment. MoP® (Management of Portfolios) offers guidance on management of change projects and programmes. It provides an overview of portfolio management, including the principles, techniques and practices alongside an organisation’s ‘business as usual' work. The MoP Foundation Certification is suitable for individuals who want to demonstrate that they have sufficient knowledge and understanding of the MoP guidance and can work effectively as a member of a portfolio office or in various portfolio management positions. The MoP Foundation Certificate is also a pre-requisite for individuals wishing to achieve the MoP Practitioner Qualification. 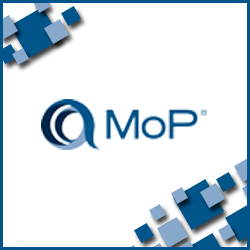 The MoP Practitioner Certification is suitable for individuals who want to demonstrate they have achieved sufficient knowledge and understanding of the MoP guidance and are able to tailor and apply it in a scenario situation. To take the exam, you need to have passed the MoP Foundation exam, even on the same day. The MoP qualifications can be obtained either through sitting the exam at the end of an accredited training course or by studying privately and then booking the exam independently. MoP® and PMI®’s portfolio guidance - Is this the yin and yang of portfolio management?